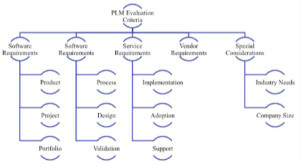 About one-half of PLM implementations cost less than $250,000. About two-thirds are implemented in less than a year. Jim Brown is the president of Tech-Clarity, an independent research firm that specializes in analyzing the business value of software technology. Jim’s experience spans enterprise applications including PLM, ERP, quality management, service lifecycle management, manufacturing and supply chain management. Jim is passionate about improving product development and engineering performance. Your download of this eBook is sponsored by PTC. To download your copy, please complete the form on this page.